If you’re looking for a convenient way to have all-natural home, beauty, and personal care products delivered directly to your doorstep, check out Grove Collaborative! I did this deal today and got over $96 worth of products for just $45!! Read below for the details. Right now, for a limited time, Grove Collaborative is offering up a FREE Mrs. Meyer’s Gift Set (over $30 value!) with your first order of $20 or more – you can even choose fun Mrs. Meyer’s seasonal scents, such as Iowa Pine or Peppermint! And, you can even shop sale items that are already reduced up to 50% off! Even better, you may also be able to add a FREE bonus gift to your order – just look for a popup box with this offer after claiming your FREE Mrs. Meyer’s Gift Set (previous bonus offers have included a free spray bottle, kitchen towel, and more). Note that this bonus offer may vary and could possibly switch to another offer, so be quick! I personally did this offer today. I was able to get 17 products for just $45. This would have cost me over $96 without all the offers and FREEBIES. I also purchased a bar soap, 2 bathroom cleaners, 2 hand soaps, 2 dish soaps, and 2 multi surface cleaners! It was a minimum purchase order of $39 to get the freebies. It is a yearly membership, but you can cancel at anytime and this deal includes a FREE VIP membership for 60 days. 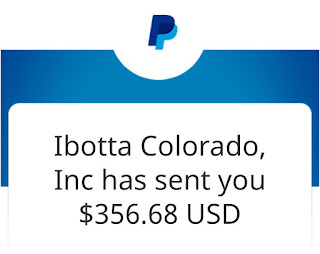 As I have mentioned over the year several times on my Facebook page, I use several different rebate apps and survey sites/apps throughout the year to make money. I always keep it in the app to save it up and use for Christmas cash. Normally, when November rolls around, I begin the process of cashing it all out to my PayPal account or to redeem gift cards (depending on the app’s rewards). This year, by far, has been my best year yet, as I have come across several new sites and apps. I just cashed out $1107.13. Yes, you read that right. I cashed out OVER $1100! Eleven hundred dollars!! Around $950 of that is PayPal money which I will transfer to my bank account and the rest is various gift cards such as Walmart, JC Penney, Bath & Body Works, and Visa Prepaid. (Disclaimer: We won’t use all of this money for Christmas. But, it will definitely pay for Christmas and cover a couple of bills or something as well!) There won’t be any credit card usage in this household at Christmas! We’ve been on a debt-free journey and are refusing to use credit! I thought I would do a quick summary of the sites/apps I use and tell you a little about each one. If you aren’t using these sites, I highly recommend getting started. If you start now, by this time next year you could have a good size chunk of change to help pay for your Christmas. 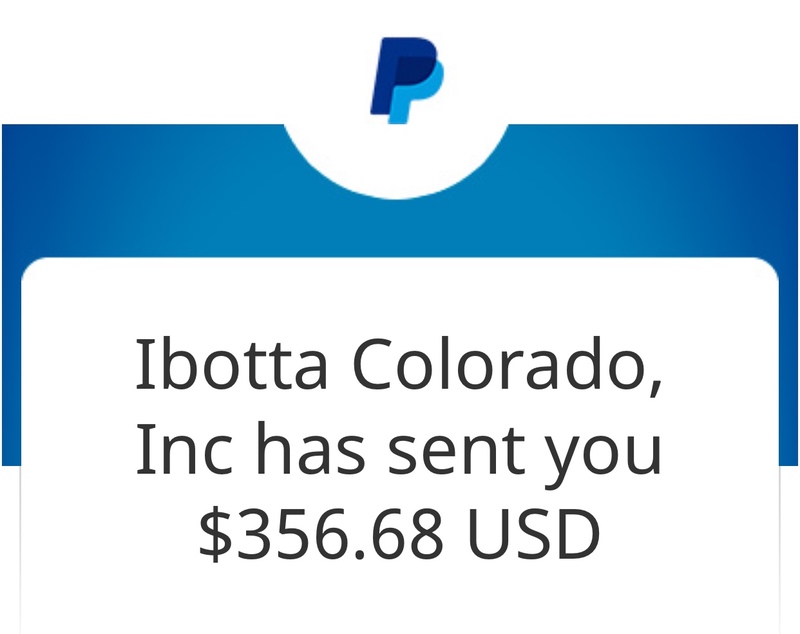 Ibotta—I made $356.68 this year with Ibotta. This is one of the easiest apps to use. Simply look through the offers available, decide what you’re going to purchase and add it to your offers. Once you go shopping just scan your receipt. You’ll also be eligible for special bonuses (i.e. extra $5 if you redeem so many rebates before the expiration date). These help increase your earning. And, as always, share your referral code with friends and family to earn more. Feel free to share your referral codes at the bottom of this post. 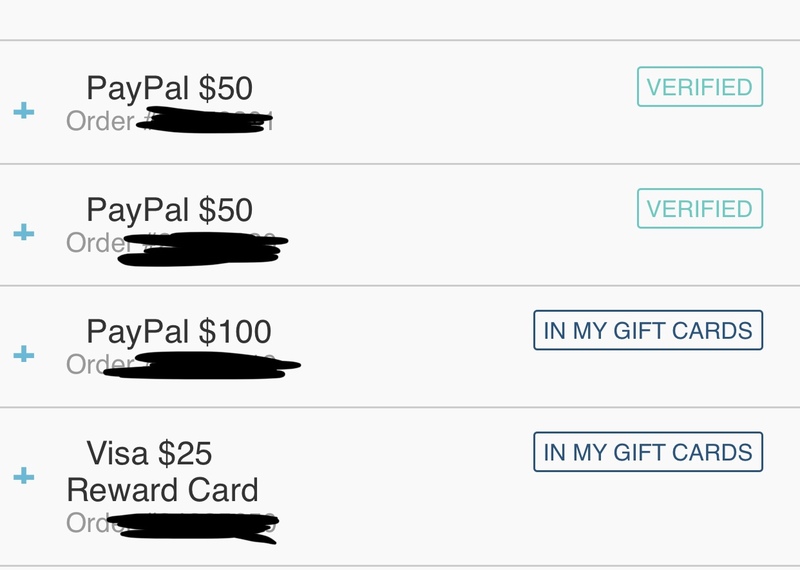 Swagbucks—I made $208.54 PayPal, $25 JC Penney, $25 Bath & Body Works, and a $3 Visa Prepaid this time with Swagbucks. And, what’s even crazier is that I just started this one in October! I made that much in a month and a half. I used to promote Swagbucks on the blog a long time ago and then forgot about it. I remembered in October of this year and started using it again. 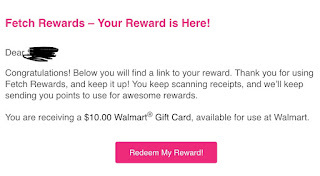 You earn points by doing things on their site and then redeem them for various types of rewards. You can earn by shopping, searching, answering surveys, completing offers, watching videos, etc. If you have any questions about Swagbucks feel free to ask and I’ll try to help. It can be a learning curve to get started with it, but once you figure it out it’s worth it. iMoney—I made $215 using this app. I began this in October as well. This app is all about boosting apps rankings in the app store using various search keywords. They give you an app to download including the keywords you are to use to search for it. You go find it in the app store, download it and then open it for 3 minutes. You do not have to sign up, give any information or interact with the apps at all. Once you’ve had it open for 3 minutes, you collect your credits and then you can delete the app if you wish. Each app varies between 25 and 35 cents. You can also earn referral money, up to $10 per referral, so share with all your friends and family! 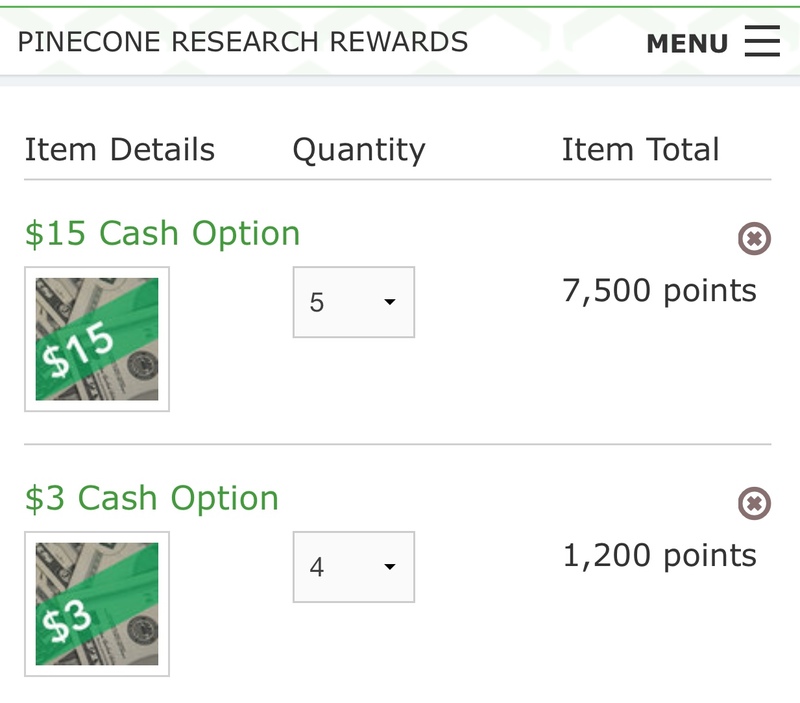 Pinecone Research—I earned $87 dollars this year from Pinecone. I have been a member of this survey company for over 5 years. Each year I save up all my money and usually have around $80-90. You must be accepted as a panelist for this company when they have openings. Once you are accepted, they email you surveys to complete. Each survey is worth $3. Sometimes you also get free products to test. Although it is confidential and I can’t reveal any products that I’ve received for testing. Head on over now, to see if you qualify to become a panelist for Pinecone. Fetch (Use code WX8CD to get $2 sign up bonus)—I had $10 to cash out on this one, but I think I had cashed out earlier this year for some reason, so it wasn’t a whole year’s worth of savings. This app is super simple. 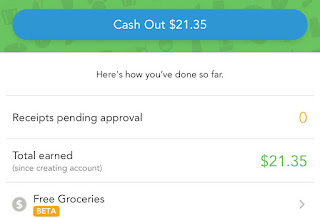 Just download it, then take a picture of any grocery receipt (store doesn’t matter). You’ll earn points for every single receipt you scan in. You’ll also be able to earn bonus points when you buy certain brands. This one also offers a referral program, so share your link with your friends and family! Checkout 51—I had $21.35 in this one for the year. I didn’t use this one as much as I should have until about September. If I had used it more faithfully I would have had more. This one is another rebate app. It’s simple also. You just select your offers and then take a picture of your receipt and submit. They also (finally—just in the past week) now have a referral program. Share your link with your friends and family and you’ll get an extra $5 each time someone joins. CoinOut—I had $10.11 in CoinOut this time. This is a new app. I just downloaded it in October. This one is the easiest of all cashback apps. You simply download it, and then snap a picture of any receipt. And, these don’t even have to be grocery receipts. This is ANY receipt. Some of the receipts are only worth 1 cent, but I’ve had others be 13 cents. If you remember to scan all your receipts it will add up pretty quickly. 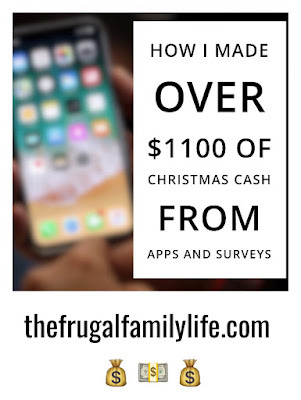 Surveys On the Go—I just cashed out $10.80 with this app. I found out about this one in October and made the $10 in that one month. If I had had it a longer time, I’m sure my amount would have been much more. This is simply an app you download and sign up with. They will give you surveys to complete. Some you disqualify from, but still receive 10 cents. Others pay as much as $6.50 per survey. 1Q—I’ve only earned 25 cents in this app so far, but I just downloaded it a couple of weeks ago. This is an app that asks you questions once in a while. You get paid for each question you answer and it automatically goes to your PayPal account. No waiting to meet a certain threshold. 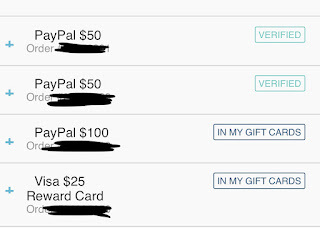 Coupons.com app—I’ve earned a lot with this app over the year, but because this one also automatically goes to my PayPal, it’s hard to keep up with the amount and keep it separate from my bank account. This month I just had a $1.00 to add to my total, although I know I made more than $1 throughout the year. Just download the app, clip the coupons you are going to use BEFORE shopping and then submit your receipt. Once approved, your money will go to your PayPal account. Dosh—I had $10 this time to cash out for Dosh, but the threshold is $20 so I have to wait to cash this one out. This one, like another mentioned above, I chose to cash out half way through the year for some reason. At that time I had over $90. 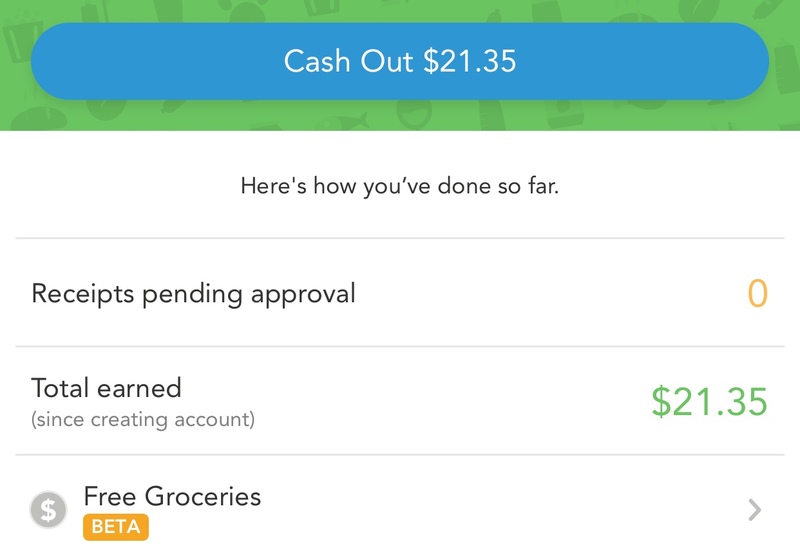 This is a good cash back app (sort of like Ebates or Ibotta), just download the app and connect your card and you’ll receive automatic cash back at certain stores. You don’t even have to select any offers or scan a receipt. Achievement—I currently have a little over 8,000 points on Achievement. I have to have 10,000 to cash out for a $10 reward. This one I also cashed out mid-year. For this app, just download it and then connect all your fitness, health, nutrition apps to earn money for things like walking, running, sleeping, eating, drinking water, etc. I have mine connected to My Fitness Pal, Garmin, Apple Health, Strava, etc. If you exercise a lot or log nutritional information very often this one adds up pretty quickly. When you stop doing those things (like I have lately), the money adding up slows way down. Zap Surveys—Right now I’m sitting at $8.95 in this app. I have a threshold of $20 before I can cash out, so I still have a little ways to go. I just downloaded this app in October. You get points for logging in each day, taking surveys, etc. I don’t take many surveys on this site, simply because I do many more surveys on Swagbucks and Pinecone. With this one I’ve mainly earned points by just logging in each day. Bank Account Rewards--$100 JC Penney gift cards. Our bank has a rewards program that is tied to our check cards. Once we earn a certain amount of rewards we can cash out for gift cards or other prizes. We had enough points for me to redeem for $100 JC Penney gift cards. Check with your local bank to see if your bank has a program like this. Walmart Savings Catcher—I had $6.45 left in my Savings Catcher that I’ll use to pay for something this Christmas. Unfortunately, Walmart has discontinued their Savings Catcher program unless you use Walmart Pay. I choose not to use Walmart Pay because I rather have a paper receipt to use to scan in for all these other apps. I make a lot more through those apps than I ever did with Savings Catcher. You can save $10 on Walmart Grocery Pickup if you go through this link. Very Dice—I very recently began this one and haven’t had enough time to earn much. This is a simple game. Each day you roll dice. The points add up and once you get to 5,000 points you can cash out for gift cards. You can earn extra rolls by referring friends, answering surveys and watching videos. So, all in all, I have been able to earn $1107.13 over the past year (and some of this only in the past couple of months). $1080.18 of that has already been redeemed and is waiting for me to spend and the other $26.95 I have to wait until I meet the threshold to cash it out. If you want to have a chance at making some money throughout the year and saving it up I highly recommend you download these apps. There are others, of course, but these are just the ones I’ve found most helpful to me. That’s not to say that you may use others that work well for you. Some others often used are Ebates, Shopkick, etc. If you have other great money-making or money-saving app, please share. Feel free to share any referral codes or links in the comments! Let’s help each other save and make some extra money! Head over to Amazon and you can grab this 2-pack of Nutiva Organic Virgin Coconut Oil 54oz Tubs for ONLY $29.98 shipped!!! Make sure to clip the 20% off coupon and opt to Subscribe & Save. 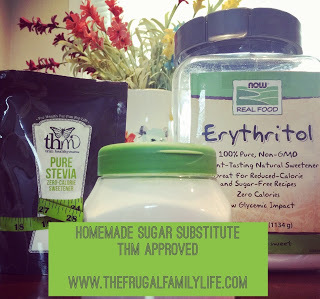 That makes each large tub just $14.99 shipped right to your home! 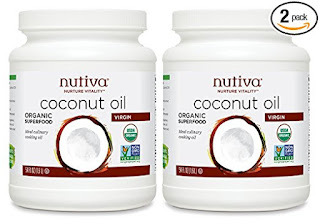 This is a great price as just ONE of these large tubs is priced at over $25 on VitaCost.com. Hurry over to Envii Beauty where you can grab a Free Organic Cruelty-Free Lipstick Sample! 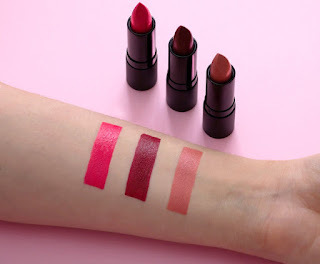 Simply head here, pick the color you want to try out and then select Add to Cart. You will have to go through the checkout process; however you will not need to enter any payment information! WOW! Looking to buy some early Christmas gifts? 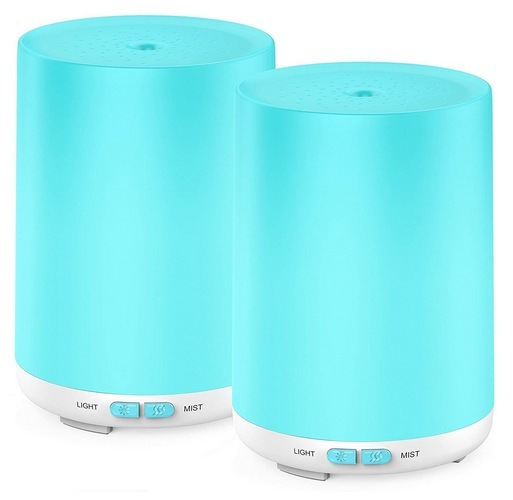 Amazon has this Leknes EssentialOil Diffuser (2 pack) for only $9.99 when you use the promo code 72GUYM29 at checkout! 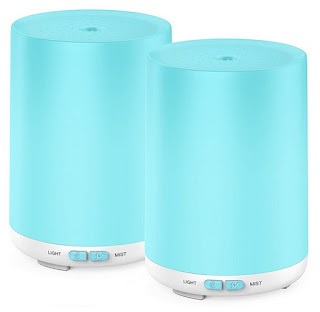 That means you’re paying just $4.99 per diffuser, which is an amazing price! Grab one for your living room and one for your bedroom! Signup for a free trial of Amazon Prime to get free 2-day shipping. 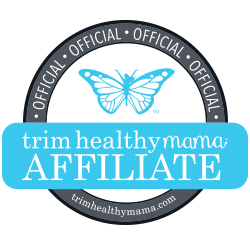 The long awaited Trim Healthy Mama Affiliate program has finally launched! If you purchase anything from their website, I would greatly appreciate it if you would consider using my link. 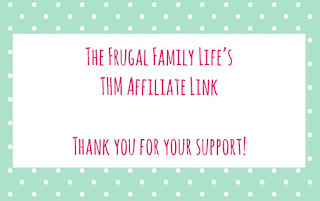 Every few cents helps to provide for our family. Feel free to bookmark this page to visit everytime you plan to place an order. Thank you! One more rebate app that I love is called Fetch! If you download the app, make sure to use the code WX8CD to automatically get 1,500 points added to your account. 1,000 points = $1.00, and once you get to 10,000 points you can cash out for $10 worth of gift cards or rewards! 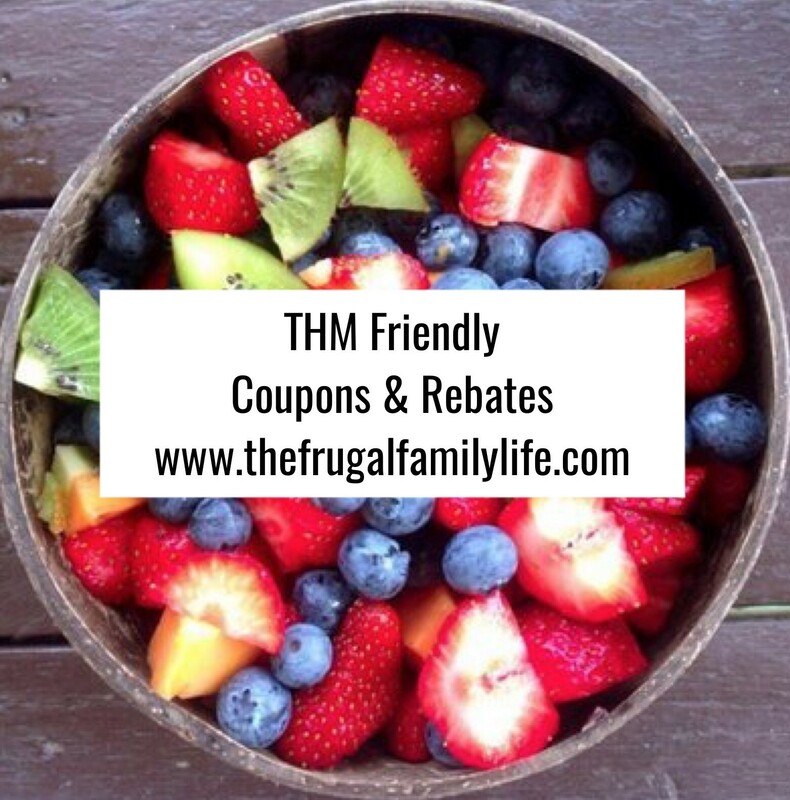 *Mambo Sprouts has several coupons that are THM friendly including Zevia, Kefir, Collagen, So Delicious, Silk, Almond Breeze, etc. Hurry! 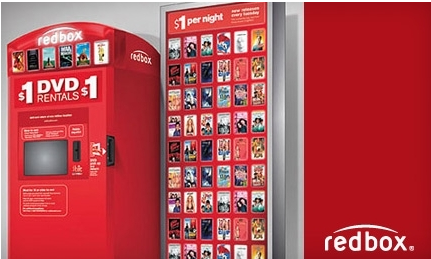 For a limited time, we can grab a FREE Redbox DVD Rental. Just text the word PUSH to 727272. Your unique promo code is valid for use in the app only and is a single use code that will expire 2 weeks after you have received it!